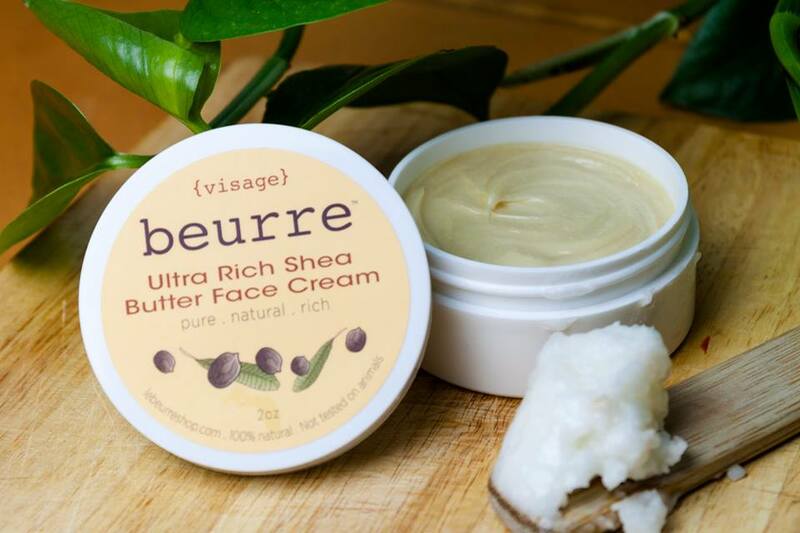 Beurre visage is an ultra-rich face cream that’s a rich, moisturizing blend of hydrating and healing ingredients. Packed with vitamins A and E, shea butter aids in treating blemishes, wrinkles, eczema and dermatitis. Argon and Rosehip oils both provide amazing moisturizing properties while Maracuja oil is a superior emollient rich in vitamin C, calcium and phosphorus. Cucumber seed oil is light and refreshing and a light touch of Chamomile oil is not only soothing but also reduces puffiness and redness.